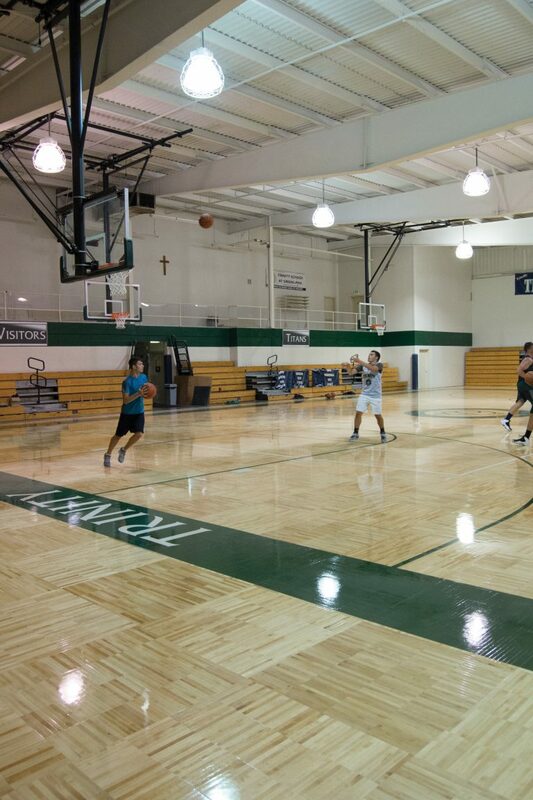 Some of the varsity boys basketball players from Trinity School at Greenlawn got in a little summer practice time on the new parquet floor. As 7.65 inches of water descended on South Bend on August 16, 2016, city streets became like swift-running rivers. Basements filled up like swimming pools and chickens drowned. No one saw what happened that night at the branch’s community center, a modest facility that is also the athletic center for Trinity Greenlawn. The most likely story is that a torrent of water formed in a neighborhood to the north, then surged through a culvert that runs below the Indiana Toll Road. The water swamped a retention pond, then swept across the center’s parking lot and through the building’s lower level like a mighty tide. Several inches of rainwater caused the old floor to buckle. The next morning, Paul Barrett, the facilities manager, found sopping carpet on the indoor soccer field and half an inch to an inch of water on the gym floor. On the exterior walls, he noticed a waterline between six and eight inches high. Then, on a grassy area south of the building, he found thousands of small fish, even one six-inch bluegill, deposited there by the wave of water. “I was almost in shock,” he said. 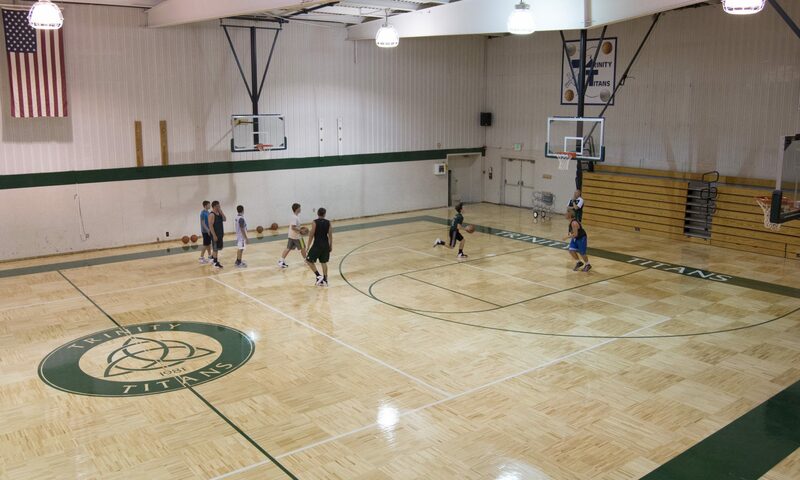 A contractor arrived later that day with heaters, blowers and dehumidifiers, hoping to save the gym floor. But within a few days the floorboards had swelled, unglued themselves and buckled, forming a series of wooden waves. In the soccer arena, the carpet had to be cut up and thrown away. The contractor did manage to dry out the branch center’s first floor and keep mildew from growing. Leaders at the school and in the South Bend branch soon learned that the building’s general insurance did not cover flood damage, and there was no flood insurance since the building does not lie in a flood plain. 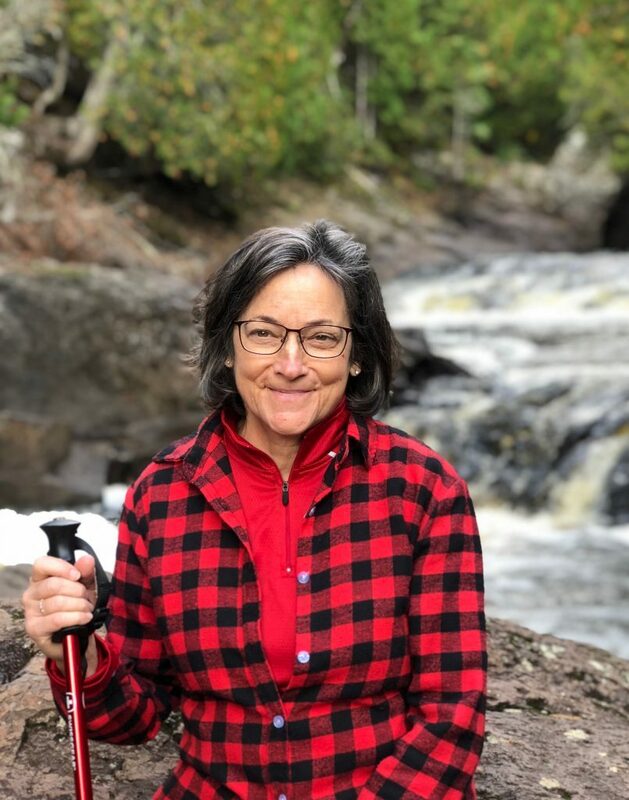 At Trinity, John Lee and John Kurdelak, the school’s director of advancement, had already planned a fall fundraiser to raise $200,000 for scholarships that Greenlawn families count on to help pay for tuition. To pay for a new floor, they estimated they would need to raise an additional $150,000. “We’ve never had to raise that much money in a single year,” John Lee said. The need for the floor became even more obvious once the basketball season began. Mike Gionfriddo had succeeded in securing four practice times each week at the gym of Stanley Clark, a local private school, and in scheduling home games at another gym owned by the Salvation Army. Between the extra driving and the lack of a home court, morale took a hit. “It was like all games were away games,” said Eli Thomas, a junior on the varsity team. A big breakthrough came in February, when the Community Foundation of St. Joseph County announced that it would hold a Give Local Day on May 9. On that day, 67 local nonprofit organizations would run simultaneous fundraisers as well as compete for money from a pool of matching funds the foundation offered. The rules state that 25% of the money raised by each organization must remain in an endowment fund held by the Community Foundation for that organization. This meant the school needed to increase its goal from $150,000 to $200,000. The matching gift created more momentum for the project, and John and his team worked intensely to get the word out. On May 9, the gifts came pouring in: $119,000 from Greenlawn’s families, alumni, friends and community members, plus the $100,000 from the anonymous benefactor. Later, the Community Foundation kicked in an additional $80,632 in matching funds, bringing Greenlawn’s overall total to nearly $300,000. “It was easily the most the school has ever received through a single giving event,” John Kurdelak said. The search for a vendor to install the new floor began, and Connor Sports, one of the nation’s leading installers, was already in the area, working to install floors at Notre Dame. The company submitted a competitive bid and won the contract. 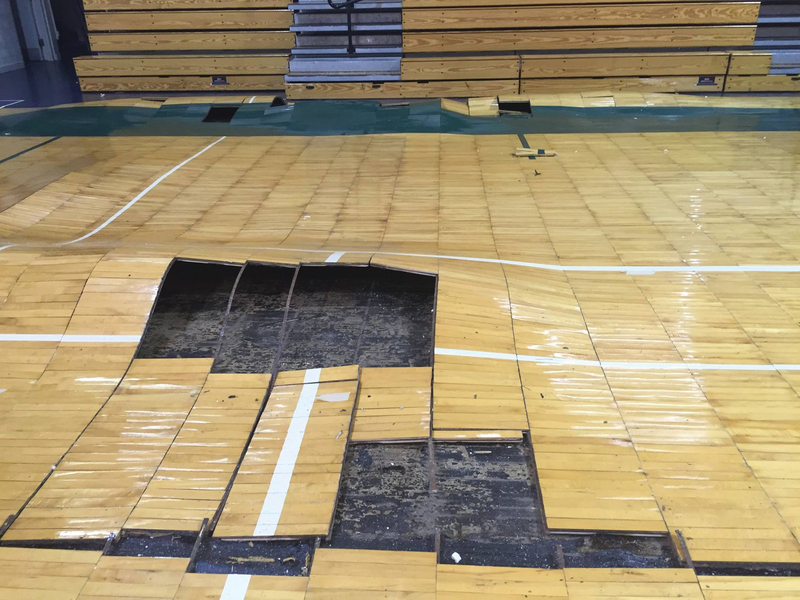 Bruce Haroldson, who has put in floors for the Olympics and for the Final Four college basketball championships, came to put in the parquet floor for Greenlawn. The adjustable goals provide fans more space to walk around the court. In addition to the floor, six new adjustable basketball goals now hang from the ceiling. Two teams can practice on the court simultaneously, and fans have more space to walk from the entryway to the bleachers. Trinity still has some money left over, which will be used to pay for a study that will examine the best way to improve the soccer arena. So, when the school year starts, Greenlawn basketball players will be doing their best Larry Bird impersonations, swishing shots on their new court. In basketball lingo, that means it will be raining buckets. It’s a good thing we have flood insurance.